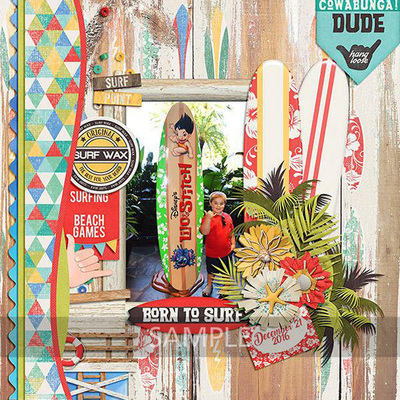 Surf's Up dude! 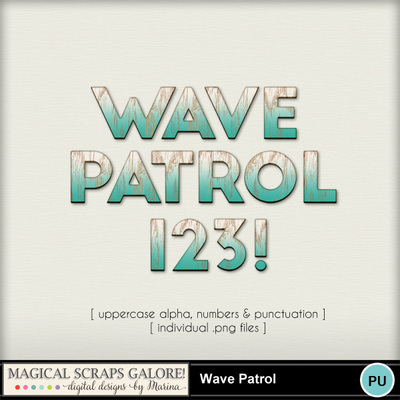 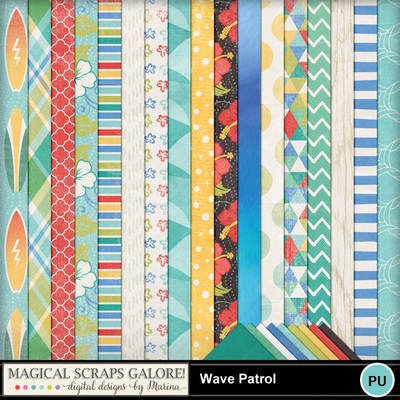 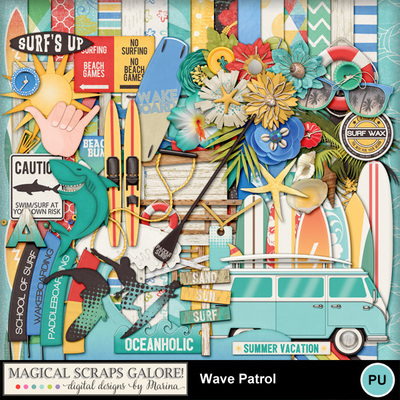 Wave Patrol is a bright and colorful summer collection inspired by the California beaches, combining all the surfing fun with awesome seaside elements. 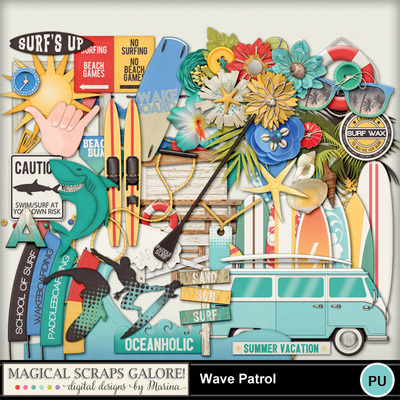 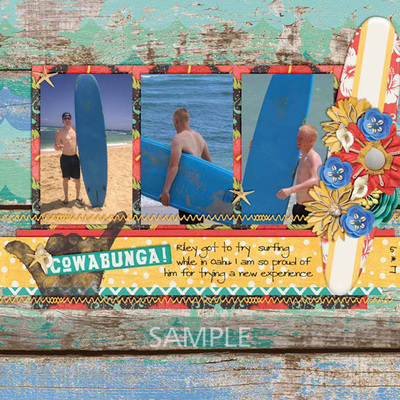 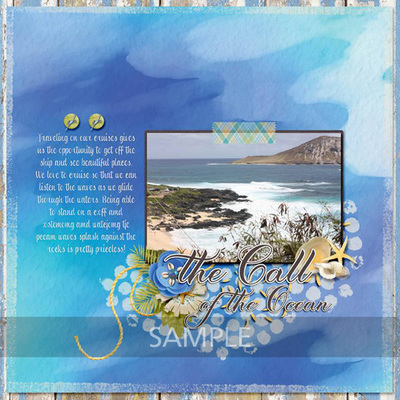 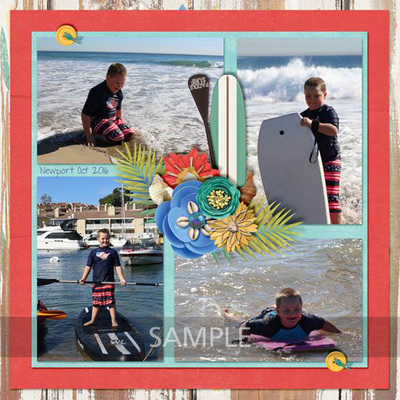 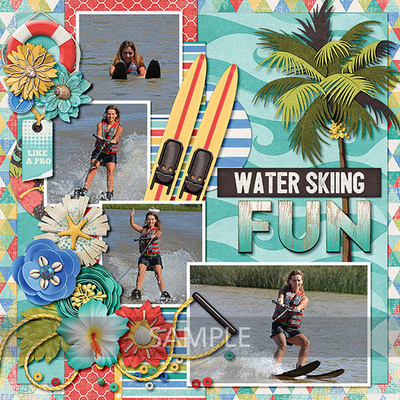 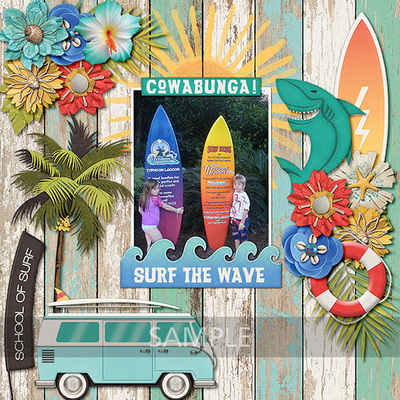 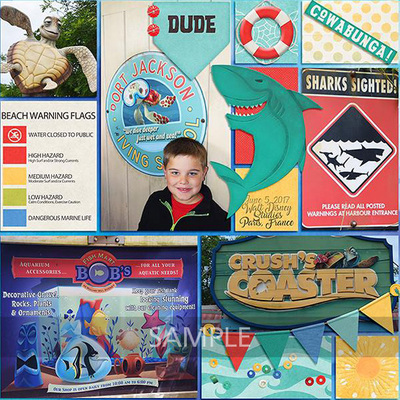 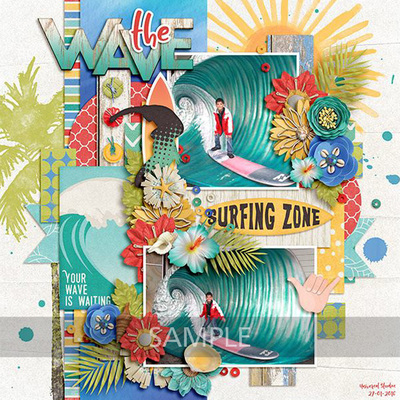 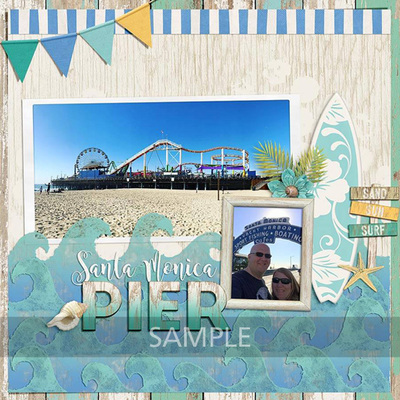 Packed with tons of themed patterns and elements such as longboards, surfboards, wakeboards, water skis and paddles, this collection also includes general seaside ellies for you to use on any beach layout, such as a lifeguard tower, a palm tree, waves, seashells, a retro van, a lifesaver and beach signs, among many other awesome goodies.